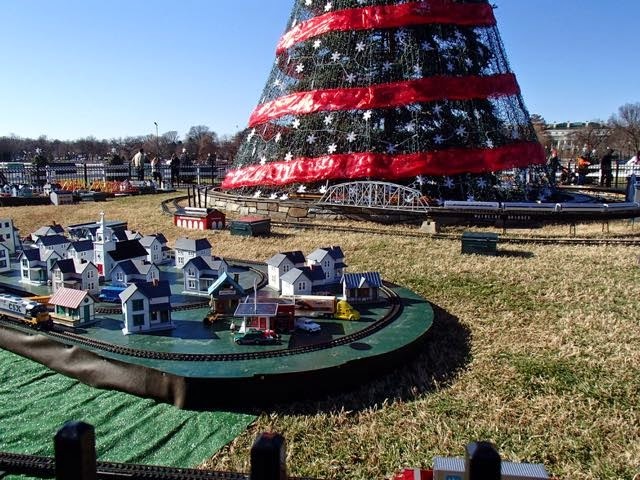 Today we decided to take advantage of it being a sunny day to visit the National Christmas Tree. Plus, Mom was in town this weekend; so going today allowed us to make it more of a family outing. I remembered seeing it and all the little trees decorated for each state and territory back in 2007; so Mik was excited to see the different state trees and wanted to do pictures of us in front of the ones for the states we have lived in. Unfortunately, this year the trees have gone too high tech in our opinion; because they are just lights with some sort of Google coding program thing. Basically, they all look exactly the same during the day; but maybe they each have different light things going on at night? 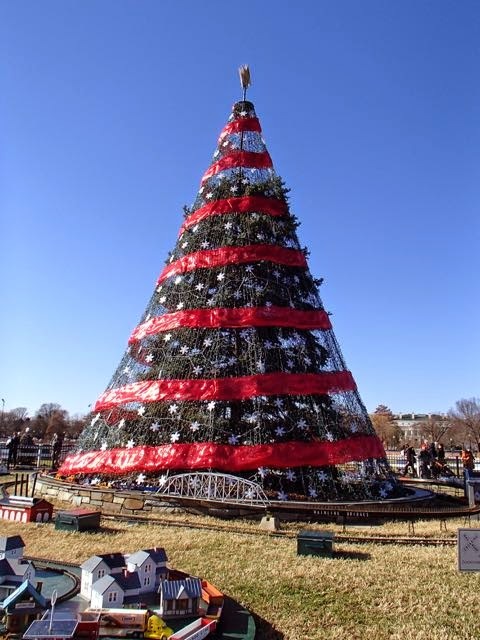 The National Tree has never been all that much to see as it as always been pretty simply decorated. The train displays around it are still fun to watch. Plus, they have rather smooth pathways put over the grass to make going around the trees pretty easy unlike the Capitol Tree, which would actually have been more interesting if there had been a path to go through the grass easy with the wheelchair and get a closer look at it's decorations. 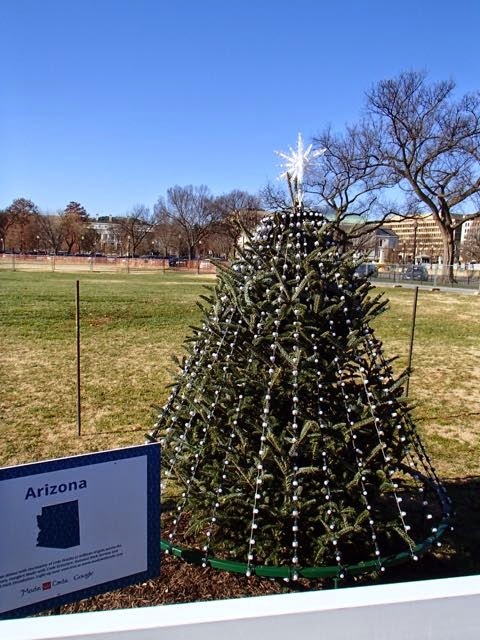 Well, earlier this week we thought the Capitol Christmas Tree wasn't worth a visit on it's own; but after seeing the way they did National Christmas Tree and more specifically the Christmas Pathway of Peace (i.e. state and territory trees) the Capitol Tree actually is more worth a visit than that (or at least during the day). Bottom line is I struck out with two out of the three holiday things I planned to do with Mik and the bonus of the Capitol Christmas tree actually ends up in second. I could of said from the start the U.S. Botanic Garden's Season's Greetings would be the favorite; but from what I remembered the National Christmas Tree experience was at least up there in enjoyment. Things have sure changed over the years, especially this year going to the Google code thing for all the little trees. I guess nice to be promoting coding for girls; but so much for embracing diversity as it seems to somewhat promote the opposite with all the same looking trees at least during the day and seeming somewhat exclusionary.